Spend a few days at Chhuti, which was established in the memory of the lady lesser known to the world – poet Rabindranath Tagore’s wife Mrinalini Devi. 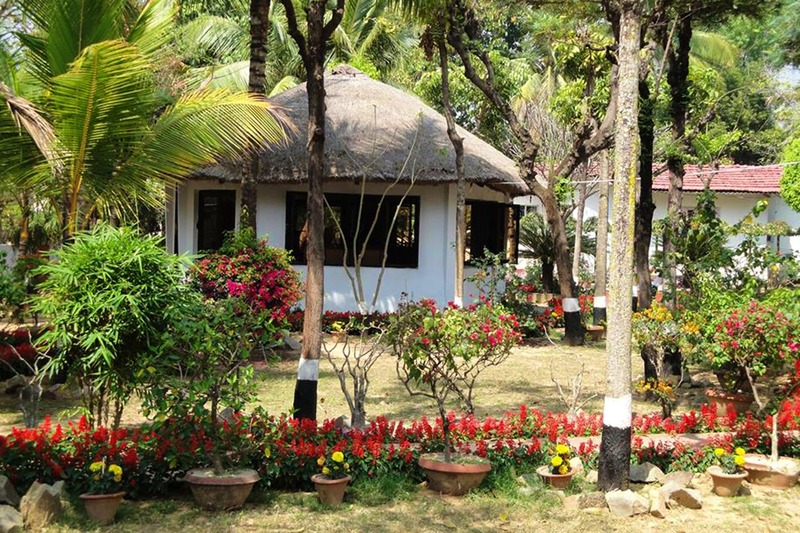 The Chhuti Holiday Resort has been built in Rabindranath’s second home, Shantiniketan and is dedicated to the poet’s wife, Mrinalini Devi (Chhuti was the name Tagore lovingly gave his beloved wife.) From the structure of the property to its rooms and cottages, everything here is kept simple, full of greenery and very close to how old homestays and farm houses used to be during Tagore’s time. They have 22 cottages with simple white walls, a bed, wooden interiors and ceiling and a couple of chairs. The look is kept this way as it resembles stays from the poet’s era. The dining area is a common one with quaint décor, wooden furniture, stone floors, cottage-style celing and dim hanging lights. The property is full of greenery and colorful flowers, small porches, gardens, and trees. In the evenings, they arrange for baul song and dance programmes. If you want a truly peaceful weekend away from all the noise and chaos, this is a great choice. If you love simple ethnic elegance in the middle of gardens, good food and a sense of peace and quiet, then this is the place to be at. The resort is just 4kms away from Bolpur railway station, between Shantiniketan and Sreeniketan with adequate transport facilities from the station. They have free Wifi, a multi-cuisine restaurant, intercom facility, power back-up and doctor on call as well. Pocket Pinch INR 2,795 onwards (for AC rooms). Check out their FB page for more.